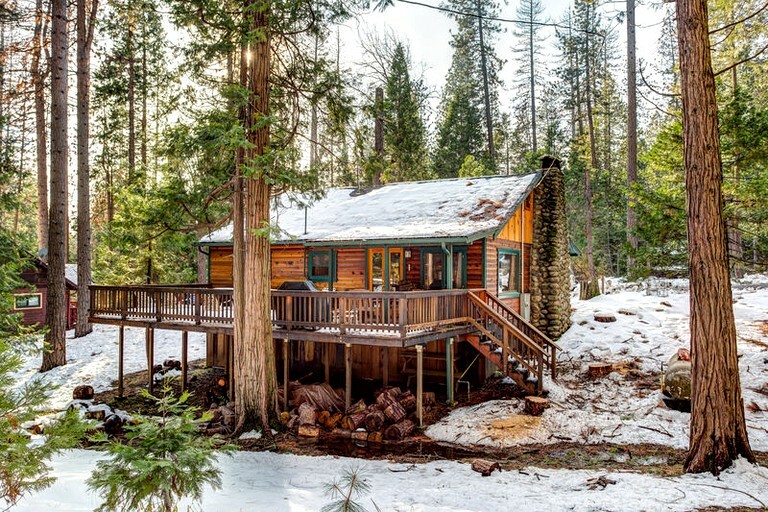 This picturesque and authentic cabin has the perfect combination of cozy meets elegant, with its shining log furnishings and spacious, alpine interior. 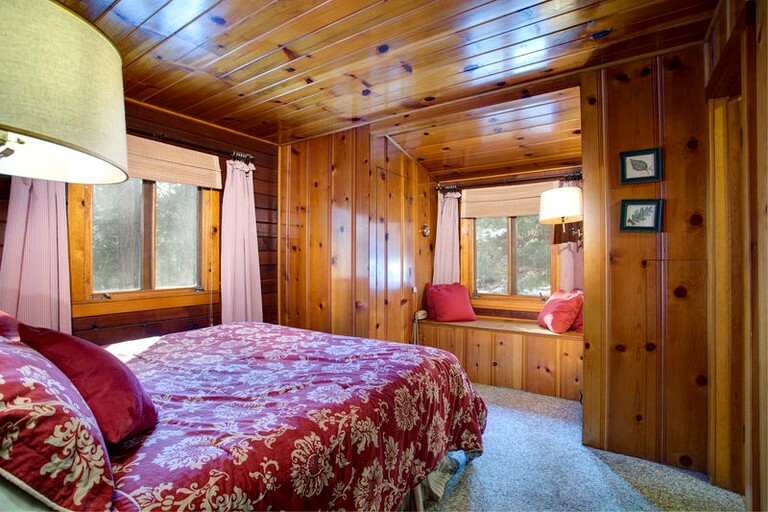 The master bedroom has a quilted king-sized bed facing the bay window, which looks out over the forest. 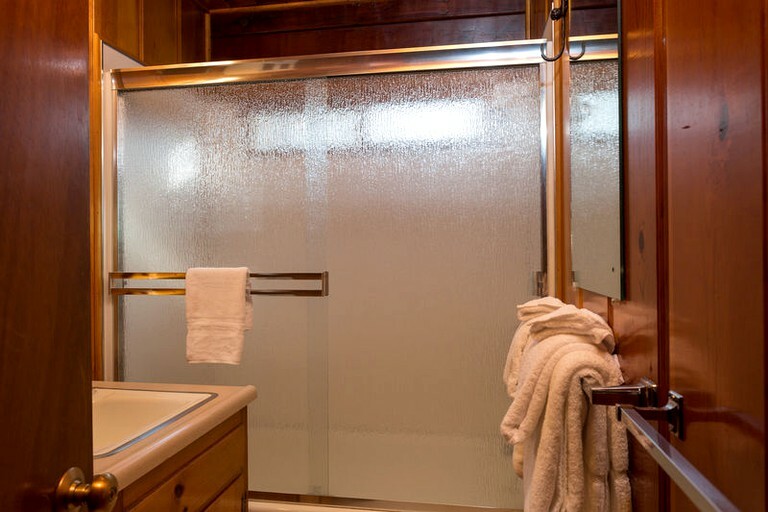 There is an ensuite bathroom with a standing shower in this room. 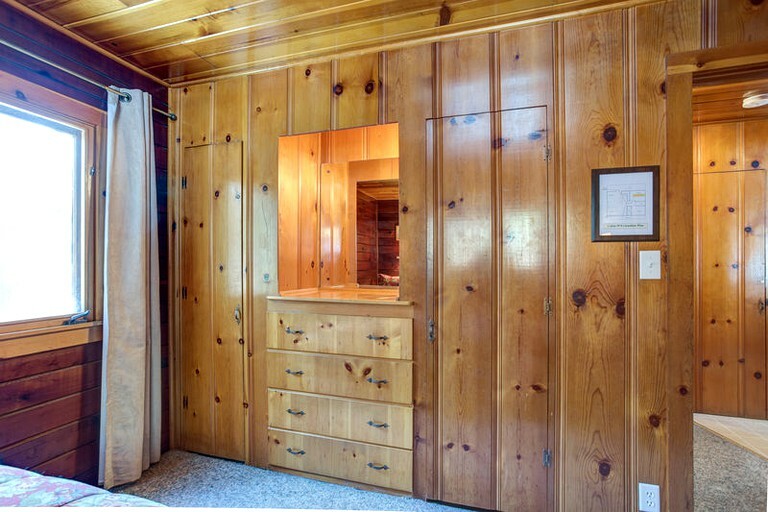 The second bedroom contains two full-sized beds, with beautiful wood-paneled walls and ceilings and an ensuite bathroom, as well. 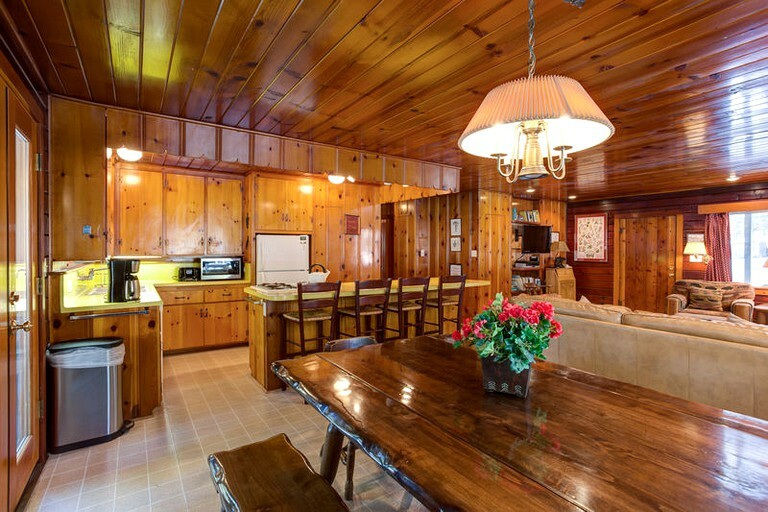 In the large main room, both the kitchen and living area share a space, with a sturdy, carved-log dining table positioned in between them. There is an island in the kitchen with bar stools for additional seating. 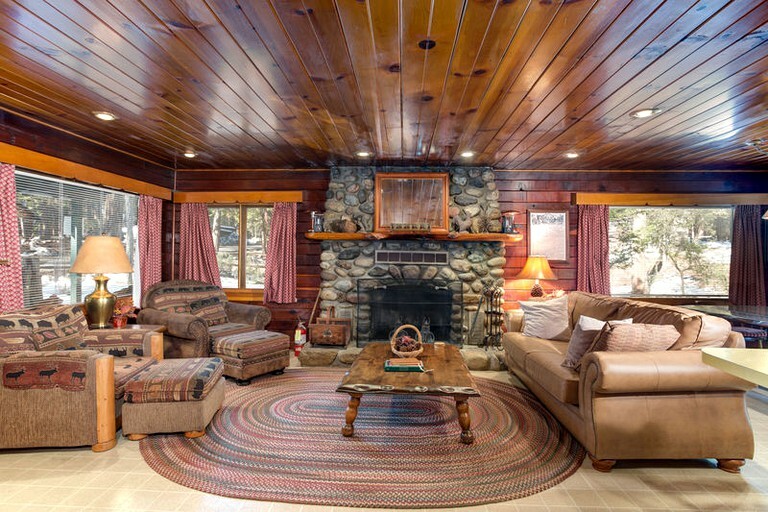 In the living area, there is a deep leather sofa facing two additional patterned armchairs, with a beautiful coffee table set in between them before the old, imposing stone fireplace. 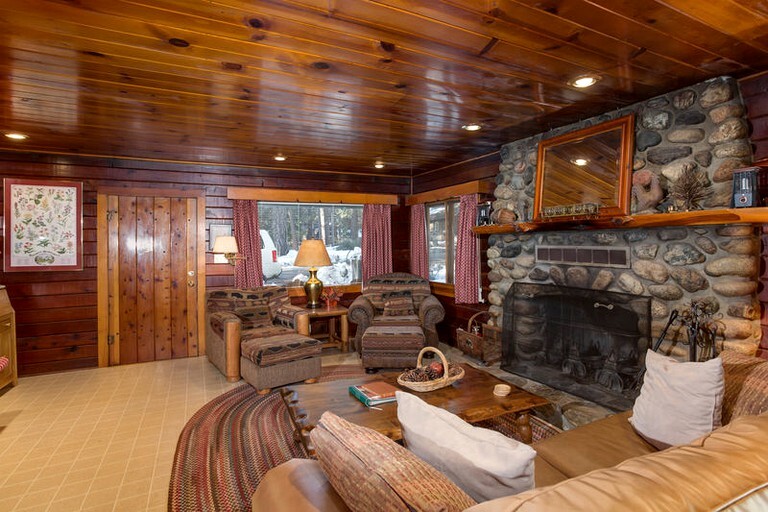 The pet-friendly getaway has two bedrooms, a queen-sized sofa bed, and two bathrooms, perfect for up to six guests at a time. 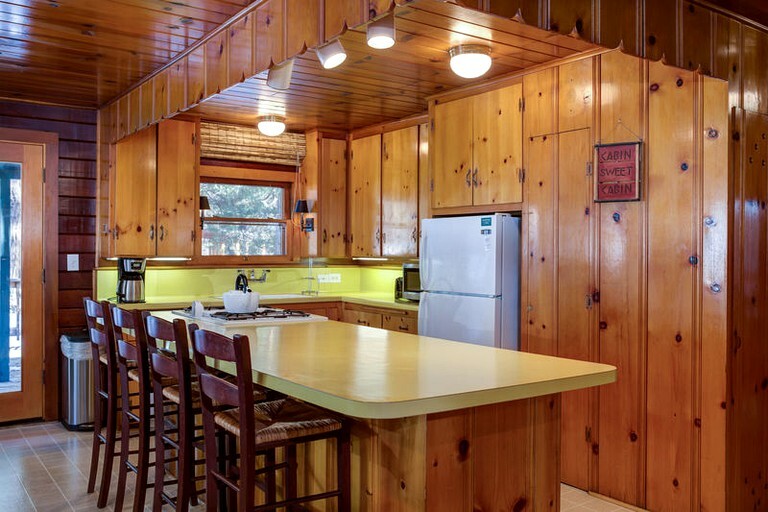 The kitchen is fully equipped, including an oven, a stove top, a refrigerator, a toaster, a blender, a coffee maker, a dishwasher, and cooking utensils. 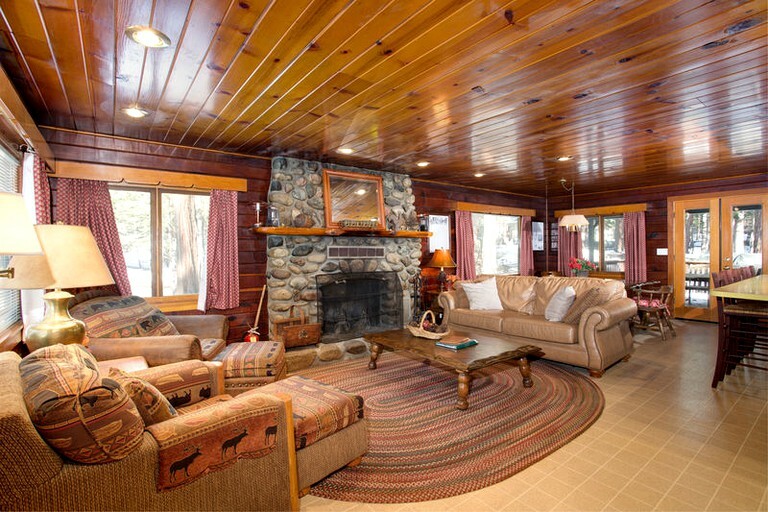 In the living room, there is a wood burning fireplace, a satellite television which has a DVD and VCR player, and a selection of books. 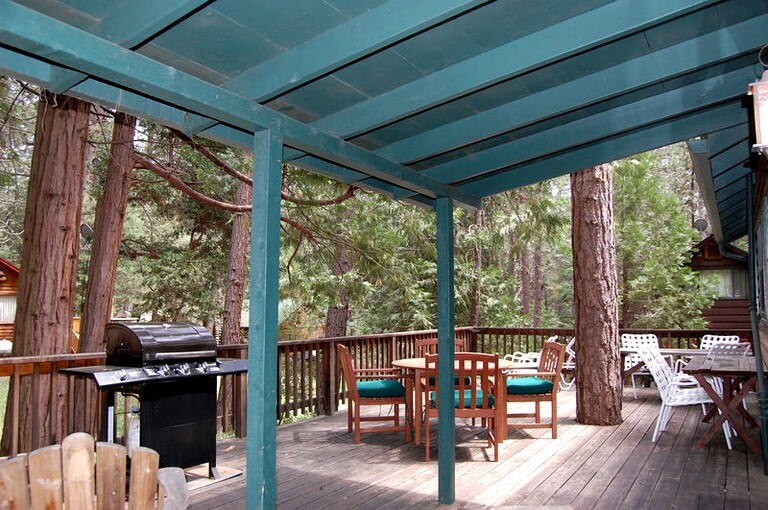 Outside on the deck, guests will find a gas BBQ grill with patio furniture and provided wood for the fireplace. 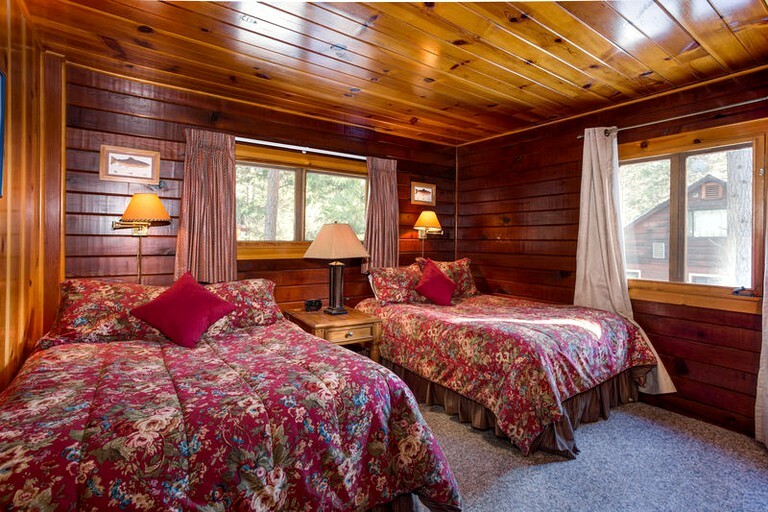 The cabin also comes with internet access. 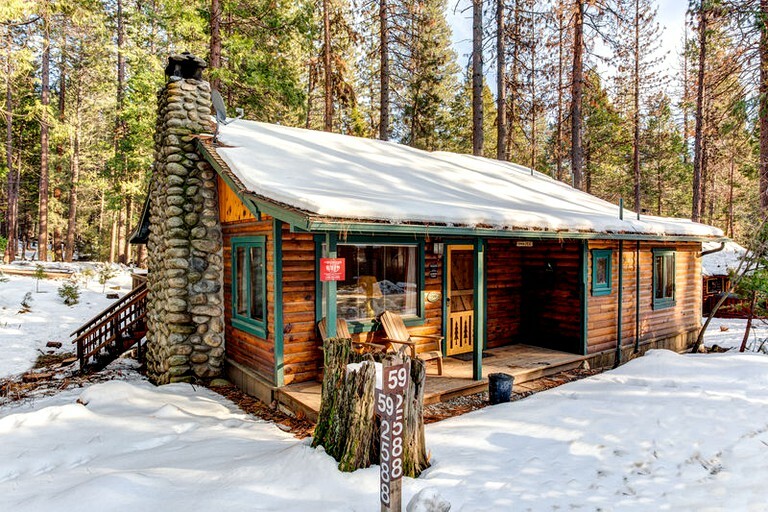 Guests of the cabin will find plenty to do both on and off the property, as the area's rustic beauty, diverse opportunities, and rich history will appeal to all kinds of visitors during any period of the year. 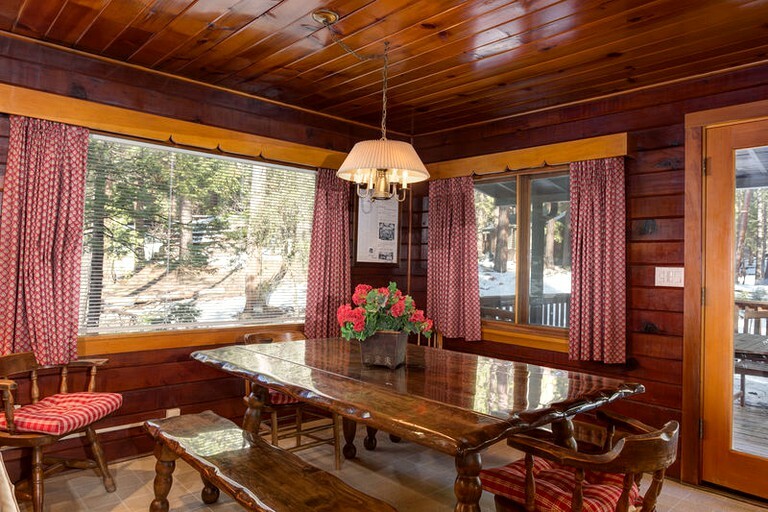 While in the accommodation, guests can cozy up in front of the fire with a good book or enjoy a home cooked meal on the patio with views of peaceful woods. 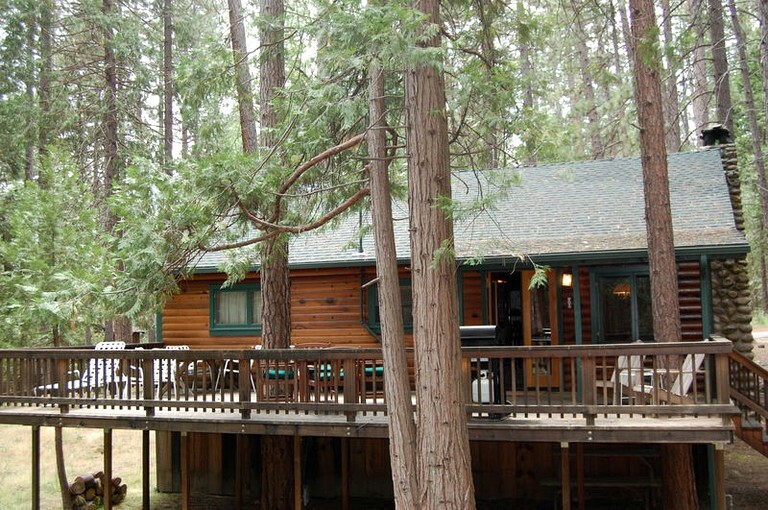 Just up the road, glampers will find the Wawona Golf Course and a number of trail heads, where guests can trek on foot, by mountain bike, or by horse. Many of these trails lead to stunning waterfalls or overlooks, which provide vistas of the valleys and the Sierra Nevada mountains in the distance. 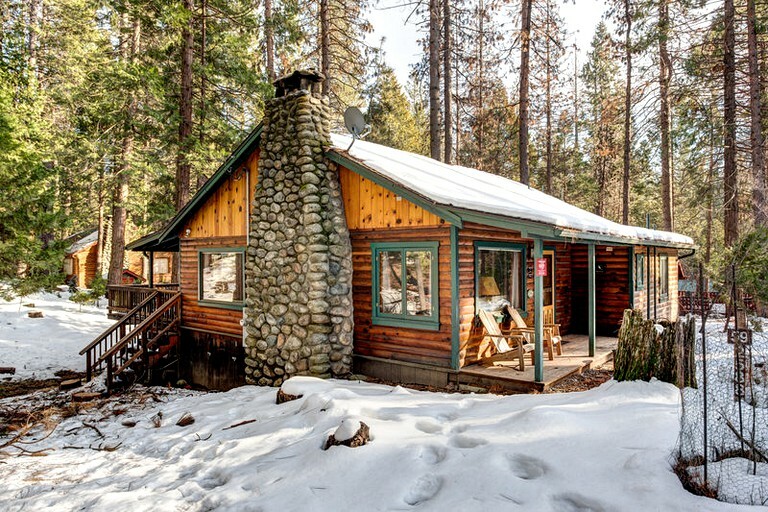 In the Tuolumne River, glampers can fish for rainbow and brown trout from April to November, or head to the Merced River to book a rafting trip or take kayaks out on Tenaya Lake. 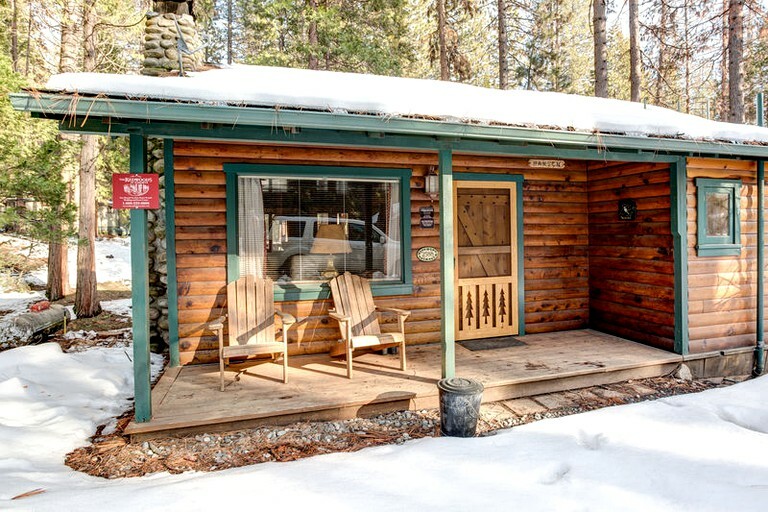 In downtown Mariposa, glampers will also find a medley of local boutiques and art galleries, where paintings and sculptures inspired by the beauty of Yosemite are displayed and sold. The Pioneer Yosemite History Center, located in Wawona, offers guided tours through the history of the region, as well as horse-drawn wagon rides and explanatory signs. Of course, the Mariposa Grove of Giant Sequoias is not to be missed, as guests can learn about Yosemite's historic, breathtaking redwoods while viewing some of the world's tallest trees. Guests are allowed to bring one dog to the property for a daily fee. There is a $39.00 non-refundable damage waiver at this property.